All of those early mornings. All the sweat. All the suffering. All those erg sessions. All of the weights lifted, muscle fibers torn and sore lungs culminated this weekend with the Irish Rowing Championships with DUBC entering a vast fleet of boats as usual. Every boat had been competitive throughout the season and so we eagerly looked on to what might unfold. First up on the Friday was the Men’s Intermediate 4+ of Josh Norton, William Doyle, Scott Addison and Adam Browne- having formed only 3 weeks before the Championships and trained hard under the watchful eye of Trinity Old Boy Mick Doyle, the crew exceeded all expectations with the speed they attained compared to crews that had been together all year. Although they failed to qualify for the final, they could be very proud of the performance in what was a stacked event. 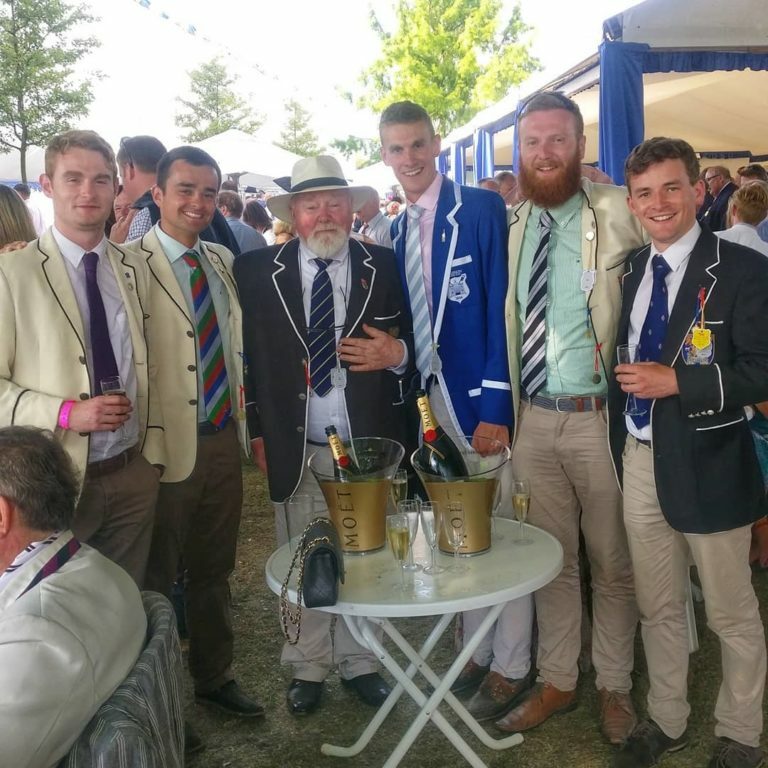 On Saturday came the eagerly awaited Novice VIIIs- inconsistent performances throughout the season from winning Colours to finishing at the back of the field at London Met meant nobody could really predict what was going to happen! From very early on in the season, Queen’s University Belfast had established themselves as the crew to beat but confidence was high in the Trinity camp- reports were circling that in the weeks leading into racing that they had really tapped into the speed that everyone knew was there. Sadly however, they couldn’t find this speed when it mattered most, losing out to an impressive Queen’s crew. High praise is due to Charles Cunningham and the ever-present Mike Ryder for their continued efforts throughout the year to show these complete beginners all there is to know about making boats go fast! Saturday also saw the Senior VIII recapture the Intermediate Championship with relative ease- although the final verdict was just about a length over UCD, the crew felt in control the whole way down the course and never really in fear of letting the lead slip. All heads were focused on the Sunday however, the final of Senior VIIIs where an almost identical crew had lost out by 0.4s the year before. The main opposition were composites from UCD/Old Collegians and NUIG/Grainne Mhaol- although DUBC hadn’t lost to the Galway crew all year, the UCD/OC composite was untried and so nobody could know what to expect. Not the types to concern themselves with other crews, the plan remained the same as always- get out in front and stay there! Little did we know how accurate this would prove to be- flying off the blocks, the DUBC took an early lead of nearly a length at the 500 and from there could dictate the race, answering anything thrown at them by the UCD/OC crew just behind. Cox Cian Flynn showed maturity beyond his years, delaying the final burn till 600 to go, a decisive move that broke contact with the rest of the field. Victory never looked in doubt in the last 500 and Trinity crossed the line 3/4L up on the rest of the field, clocking a course record of 5:36.9! At the end of what has been an amazing year, DUBC’s Senior VIII were unbeaten and not once led on Irish water. Huge thanks, on behalf of all the crews, is due to the continued support of former members and the Long Term Committee that allows athletes to pursue their complete potential. Finally, sincerest thanks to the coaches involved from Novice to Senior who selflessly committed themselves to seeing DUBC at the forefront of Irish rowing where it belongs. Here’s to continued success next year!